Virtual Console is still a pipe dream for the Nintendo Switch, but classic games have been appearing on the console with or without Nintendo's help. SNK's usual offering of arcade classics are already in full bloom on the eShop, and now even Square Enix is getting a head start with the classics. Whether or not this footage is through Virtual Console remains unknown, but Square Enix has released a video of its staffers playing Seiken Densetsu 3, the Japan-exclusive sequel to the beloved classic Secret of Mana, on the Switch. No other comments were added to the video, but it was released on the series' official Japanese Twitter account. 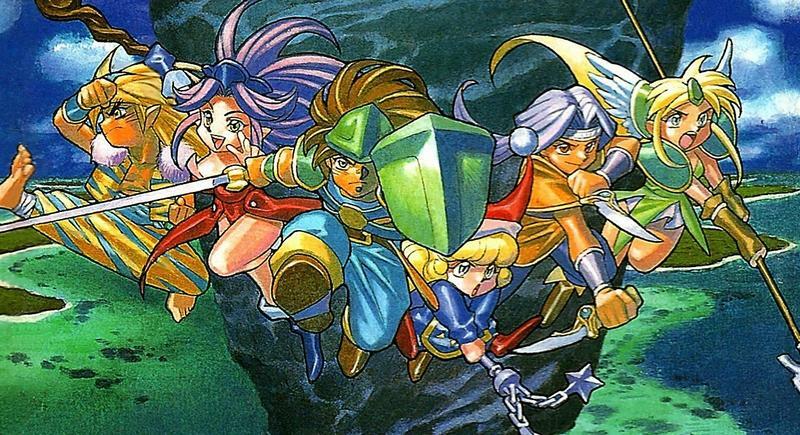 While it's unlikely that we in the West will ever get an official playable version of Seiken Densetsu 3 since Square Enix of America still refuses to acknowledge its existence, we're more than thrilled that there is a bubbling interest in its halls to support its immortal Super Nintendo library on the Switch in some fashion. Final Fantasy IV, V, and VI, and let's not forget ActRaiser, Terranigma, Chrono Trigger, EVO Search for Eden, and Secret of Mana, all of them would effectively steal every last out of my already limited free time. But not my social life, since I would happily play Secret of Mana with friends wherever I go. Whatever it is you're teasing Square Enix, I want a taste! I know the whole Wii U era didn't work out in your favor, but please give the Switch a chance. And don't put those dreadful mobile/Steam ports on it either. That would be a good way to lose friends and alienate people.